A glass of chai tea. 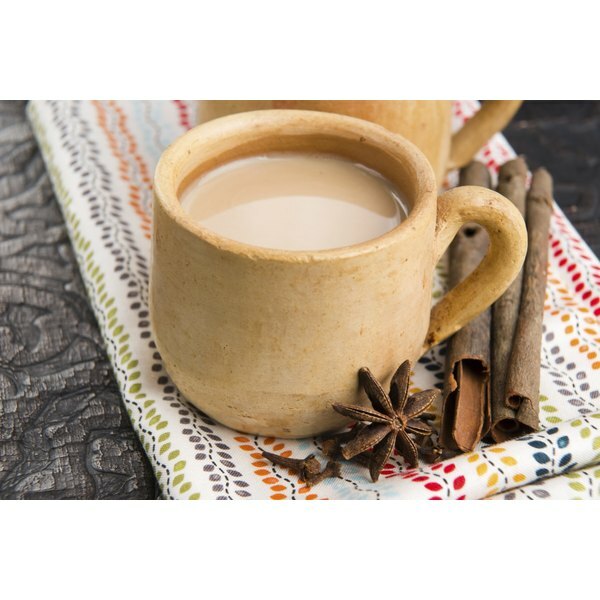 Although chai means "tea" in various Asian languages, in the United States it refers to a spicy and milky tea beverage from India known as masala chai there. Starbucks offers a chai-flavored version of its signature blended beverage called a Tazo Chai Crème Frappuccino. Topped with whipped cream and ground cinnamon, Tazo Chai Crème Frappuccinos are a cold, sweetened drink made with ice, whole milk and chai from the tea company called Tazo. The beverages are available in three sizes: a 12-oz. tall with 180 calories, a 16-oz. grande with 250 calories and a 24-oz. venti with 350 calories. Starbucks allows customers to order Tazo Chai Crème Frappuccinos with lower-fat alternatives to whole milk, including nonfat milk, 2 percent milk and soy milk. Soy milk and 2 percent milk give these drinks 10 less calories, while nonfat milk removes 30 calories from tall and grande orders and 50 calories from venti beverages. 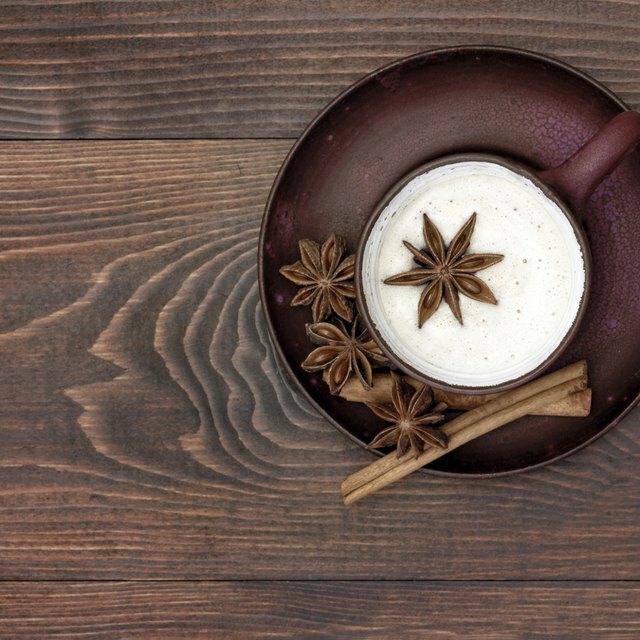 Nutrition-conscious customers can improve the healthiness of their Tazo Chai Crème Frappuccino by requesting the drink with nonfat or soy milk. Doing so reduces the amount of saturated fat in the beverage to none, and selecting nonfat milk removes all fat entirely.